Jenny E. Ross is an award-winning freelance photographer and writer specializing in wildlife natural history and conservation, ecosystems, Earth systems, scientific research, environmental issues, and related cultural and policy topics. She travels extensively throughout the world, striving to create unusual photographs that capture the essence of wild animals and wild places, explain scientific research to non-scientists, inspire concern and action for wildlife conservation and ecosystem protection, and elicit a renewed appreciation of the natural world. Her photographs, often accompanied by her essays, have been displayed to acclaim in many exhibits and widely published throughout the world in books, magazines, science journals, and newspapers. She often collaborates with researchers in a wide variety of scientific disciplines ranging from biology, ecology, paleontology, and archaeology to geophysics, oceanography, paleoclimatology, and cryosphere science. Jenny is highly respected for her ability to create compelling editorial work, exhibitions, and presentations that combine stunning photographs with scientifically accurate and engaging information. She has been honored in the World Press Photo awards, the Pictures of the Year International awards, and the BBC Wildlife Photographer of the Year awards, and she has received numerous other major accolades including the Nature's Best Award for Wildlife Photography, the Philip Hyde Award for Environmental Photography, the Vision Award of the North American Nature Photography Association, and an award for Outstanding Environmental Photojournalism from the Society of Environmental Journalists. 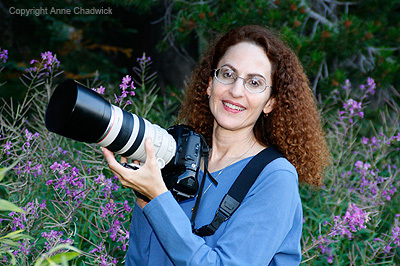 She is a Senior Fellow of the International League of Conservation Photographers, and a professional member of the Society of Environmental Journalists. As the child of a Shakespearean scholar and an artist, Jenny grew up with an abiding appreciation for both intellectual and artistic pursuits. She graduated from Stanford University with a major in philosophy and substantial coursework in the natural sciences, obtained a law degree at Harvard Law School, and practiced law successfully for more than 10 years - in civil litigation, environmental law, and criminal prosecution. During that time, however, she also nurtured a profound love of photography, wildlife, and wild places. Ultimately, she decided to leave the practice of law and devote herself full-time to photography and writing. Jenny's photographs have appeared in many magazines, books, newspapers, and other publications worldwide, including: National Geographic magazine and other National Geographic Society publications; BBC Wildlife magazine, as well as BBC Books and BBC News; National Wildlife magazine and other National Wildlife Federation publications; Natural History magazine; Ocean Geographic magazine; Nature's Best magazine; and the scientific journals Arctic, Science, Nature, and Nature Geoscience. Fine art prints of Jenny's photographs have been exhibited at numerous private galleries and a variety of public venues, including the Anchorage Museum of History & Art, The Natural History Museum in London, the California Academy of Sciences Natural History Museum, the California Exposition (Cal Expo), the Carnegie Museum of Natural History, the Lindsay Wildlife Museum, the Pacific Grove Museum of Natural History, and the Smithsonian National Museum of Natural History. She is represented by several galleries in California, Nevada, and Florida, and her limited edition prints are in many private collections - including that of former U.S. President Bill Clinton. Jenny's photographs are also used for calendars and greeting cards. In addition to assignments, editorial projects, and fine art photography, Jenny's work includes: lecture/slideshow presentations for museums, non-governmental organizations, government agencies, and private foundations and companies; television and film documentaries about wildlife natural history, ecosystems, conservation topics, environmental issues, and scientific research; and stock photography. She is also currently working on several ongoing long-term projects. One of them is focused on the Arctic, and another concerns the Salton Sea. To see images and information from Jenny's Arctic project Life On Thin Ice™ please visit www.LifeOnThinIce.org. To see images and information from Jenny's Salton Sea project, please contact us.